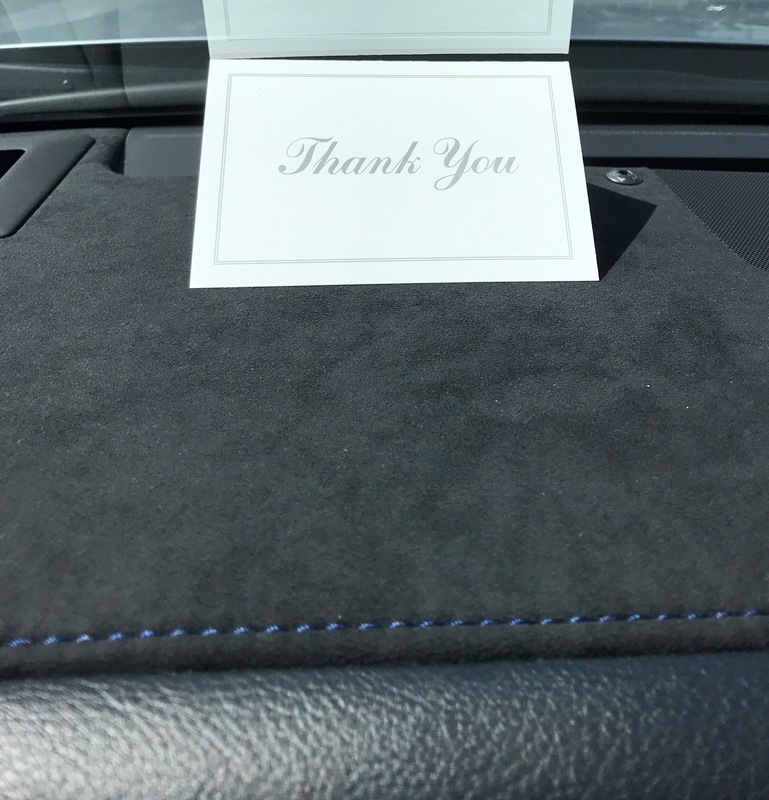 Valuing the Customer --My Lexus service experience! Hello everyone, it's hard to believe its March already! I wanted to share a personal experience with our blog readers with this post. Ernie and I have been conditioned over the years to always look for different types of lean thinking examples in everyday life. We often think the best examples are all around us we just have to look closely for them and ask questions if folks are willing to answer. They can always say No, but what we find is if you take and interest in what someone does every day many take pride in what they do and our excited you asked. We were home from work travel this week and my car was due for it's regular service at 10,000 miles and have a tire replaced from a nail picked up. 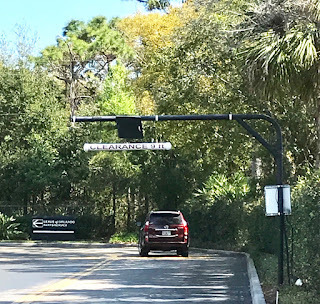 We live in Ormond Beach, FL so the closest Lexus dealership is Lexus of Orlando which is about an hour away. I have been there before but this time I wanted to take a little deeper dive into their process and my service representative, who was very nice and willing to share part of her standardized work for each day; and how visual management, reducing wait-time for the customer, and ensuring communication takes place at each step of the process. I know other dealerships may have some level of this but this isn't the norm from my experience (please share in the comments below your experiences). 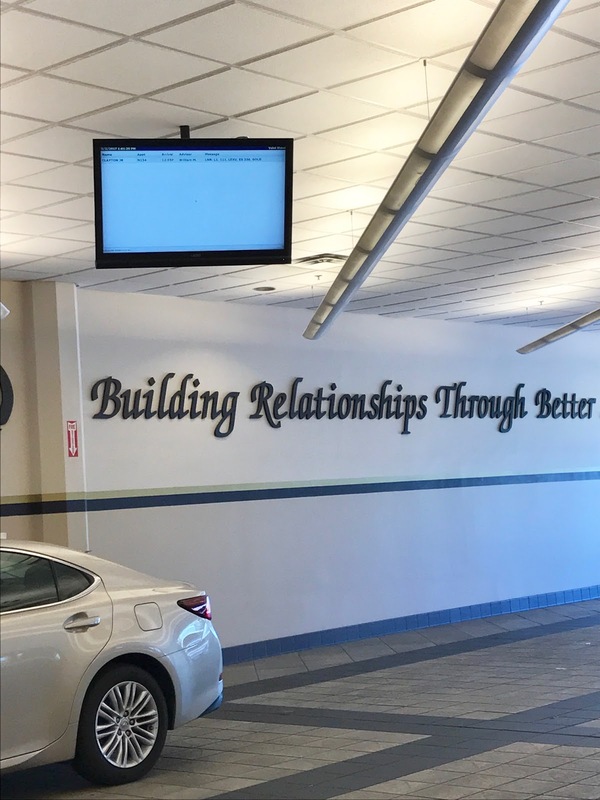 I love that the "Relentless pursuit of Perfection" isn't just about building a Lexus, but also about servicing the vehicle after the fact. The process starts here with a scanner that reads the RFID sticker that is placed on the top back side of the rear view mirrors so the customer really never sees it. These stickers are also placed on the Lexus loaner vehicles they give you while your car is being serviced. The loaner car is numbered and the assigned to you. When you return to the dealer to pick up your vehicle the scanner lets your customer service representative know you are on site and you are greeted by name when you exit the loaner car, they are already working on getting you out before you are out of the car. Great reduction of wait time there. 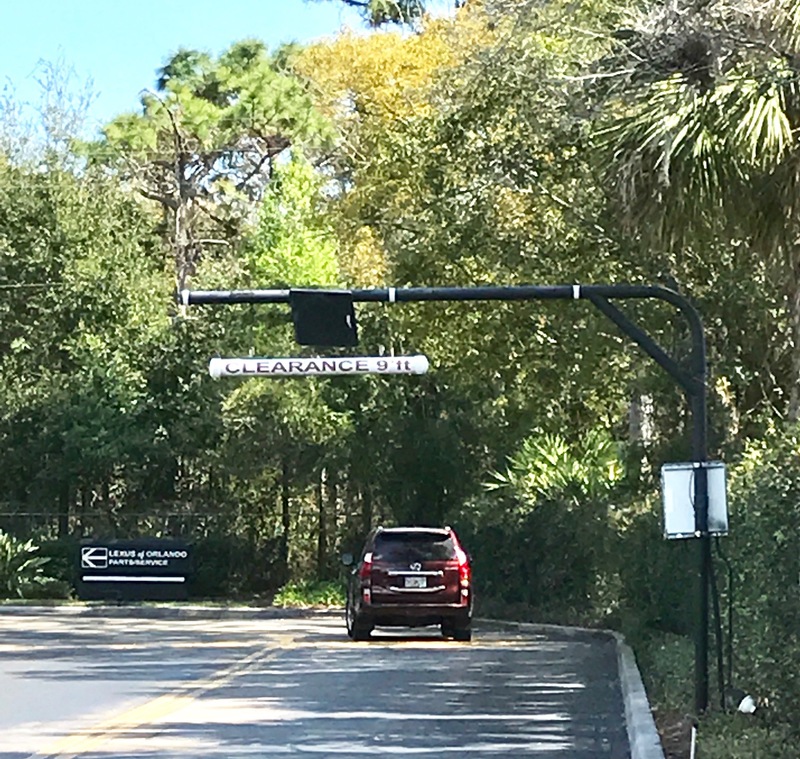 This customer identification process is also visible to anyone in the service area in the form of monitors placed throughout the drive-in lanes. This gives you and them a quick visual as to where you are in the process. It can also signal when manpower may need to be re-balanced and brought in to account for certain times of the day with a rush of vehicles that may have an appointment and some that may not. It's a great leading indicator to adjust real time to the customer demand when everything can't always be planned. As soon as you arrive it is as if you are on a time clock. A individual supporting the service representatives places a visual placard on your car stating who you are, what time your appointment was and when you arrived. This is to allow the Lexus service team measure how long it takes a vehicle to get in and out to it's designated area. For my experience I drove in (it was busy service lanes were almost full) I was out of my vehicle, greeted, asked if I wanted anything from the cafe', and was sent to my service representatives office. About 4 min. I witnessed my car being moved forward in the process to the next stage in their process. Here is an example of the time care placard placed on each car to measure their takt time. One of the aspects of the process I found that was so convenient for me was the text communication as to the status of my car at any given time. Our world and market place is a lot more tech oriented than it ever has been. There may be a smaller percentage that aren't able to communicate this way, but that is being flexible to the customer need. For the majority the preference is to not play voice-mail tag during a busy work day, and real-time communication is much easier in the world of text messaging. I had several communications back and forth regarding my service and it was resolved and decided on in less than a minute, a win-win for both sides. 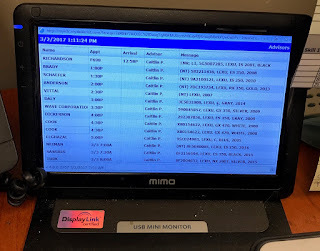 After I returned for my vehicle I was telling my service representative Caitlin my background with Toyota and what I did for a living and that I was going to write a blog about my experience. She was nice enough to take the time to show me the visual friend at her desk called Mimo. Mimo was her small visual board cascading from the larger boards out in the service drive-in lanes. (Similar to micro to macro KPI boards) This let her know her "plan for the day" and where she was at any given time and what was next or anything not planned. Notice I came up on the list and was being processed as my loaner car came through. I just loved the real time communication, greeting and attention to detail for the customer. Owning a Lexus is not just about the car but the total experience from purchase to service to daily driving. They make each customer feel it and leave there knowing their time matters and their needs when they are there. If you decide to wait on your car if its just an oil change there are massage chairs, Ipad stations, quiet cubicles to work, and a cafe with free food and drinks that will keep you comfortable while you wait with the ability to text at any given time for an update. Lastly, Caitlin walked me through the paperwork, and took me to the car for a complete walk through for customer satisfaction confirmation. I thanked her for the extra time she spent with me allowing the questions and pictures I captured to share my story. I was thinking about a blog post the whole time I was there because I feel servicing your car can often frustrate folks even a bit of a drudgery in there. 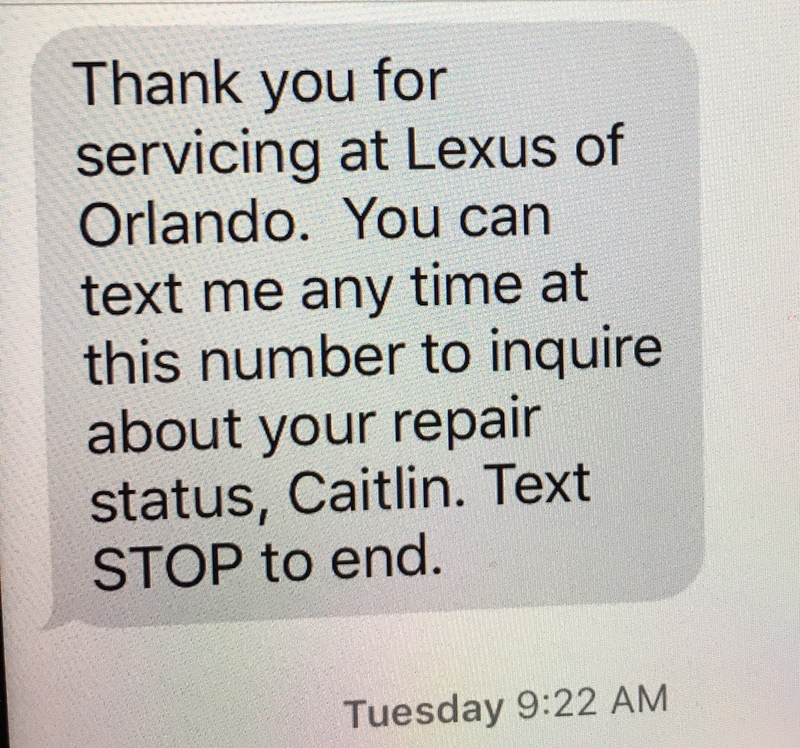 I feel Lexus and probably other dealerships are trying to make the service an experience as much as purchasing or driving it daily. I was impressed. It's the little things that make you smile. A personal card left on my dash thanking me for my time! Which they made minimal! 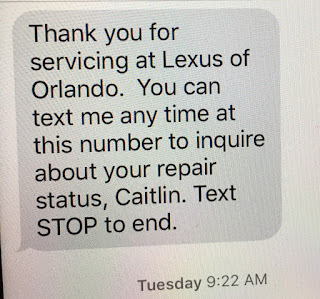 Thank you, Caitlin and the Lexus of Orlando team for going above and beyond! Also I loved the glimpse of the new LC500 brochure! Could that be next-------------!!?? Looking for split seconds in NASCAR could mean a win or not! Wanted to share my post on The Lean Post. Crossblogging in order to share with others! Looking for split seconds in NASCAR could mean a win or not. Click here to read the post! !